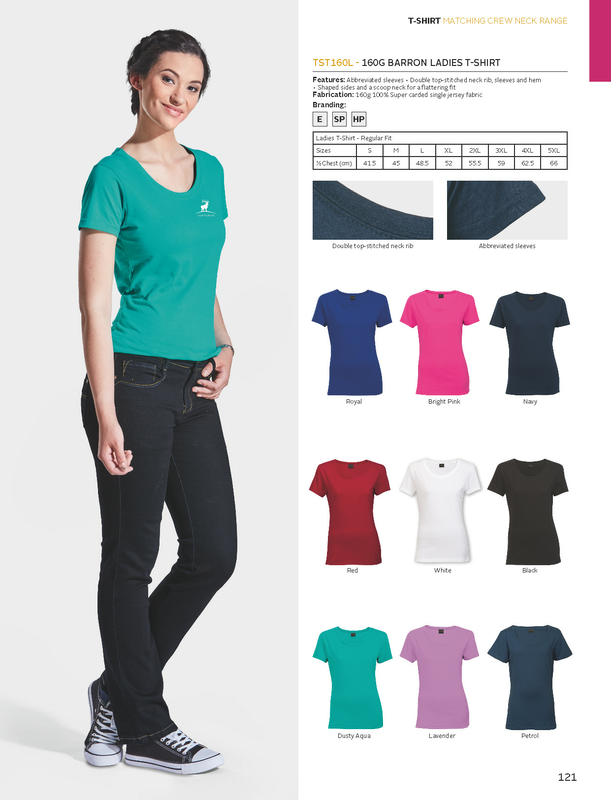 A ladies option in an industry standard weight. 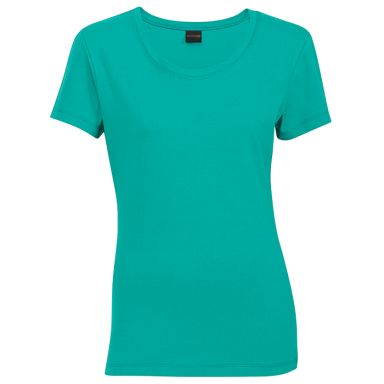 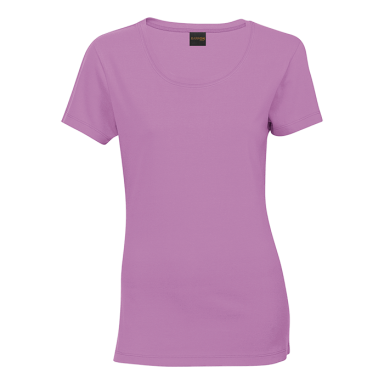 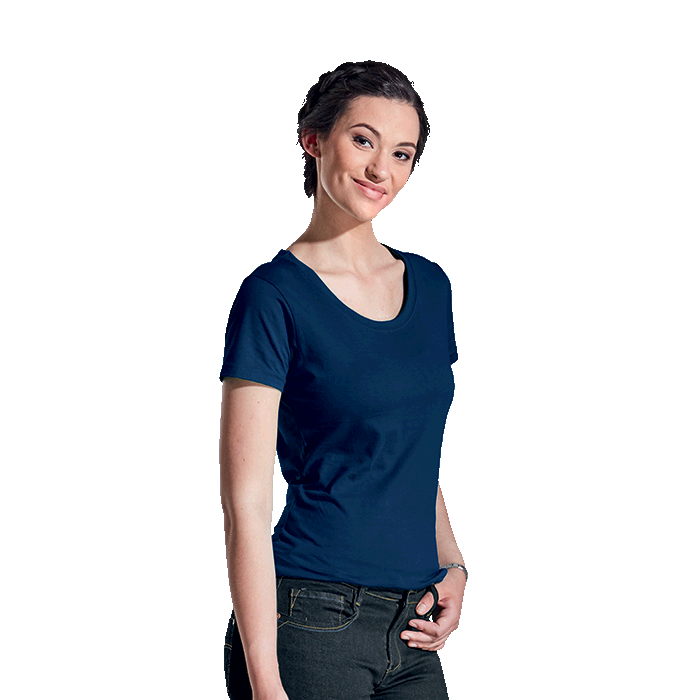 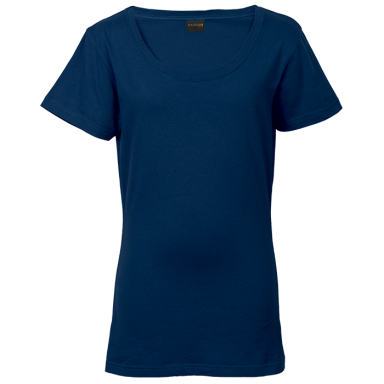 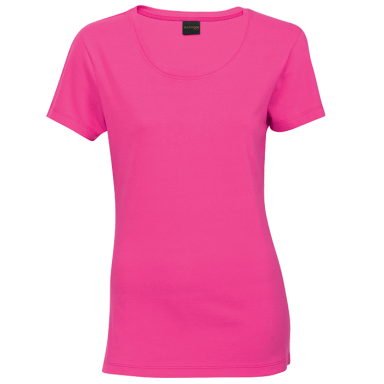 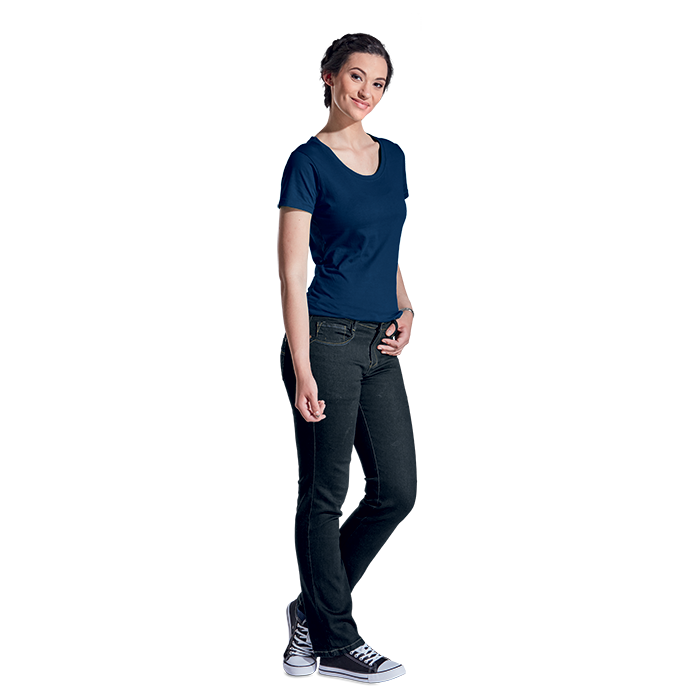 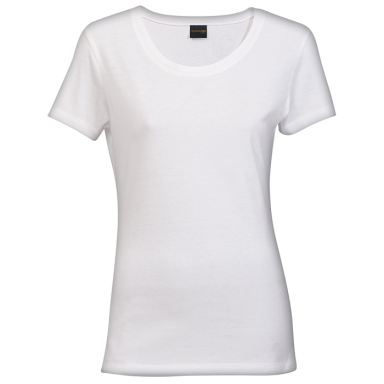 Garment features feminine lines and neck shape. 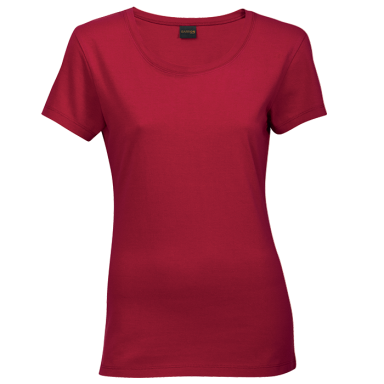 Durability is enhanced by double top-stitched neck rib, hem and sleeves.